Dan and I absolutely loved our trip to Japan. Tokyo was an incredible city, and I can’t wait to blog more about our trip! We spent two whole days at Tokyo Disney Resort. Our first day was at Tokyo DisneySea, and our second day was at Tokyo Disneyland. There was so much to see and do in both parks that this is just my Tokyo Disneyland review. I’ve already published a separate post reviewing Tokyo DisneySea. 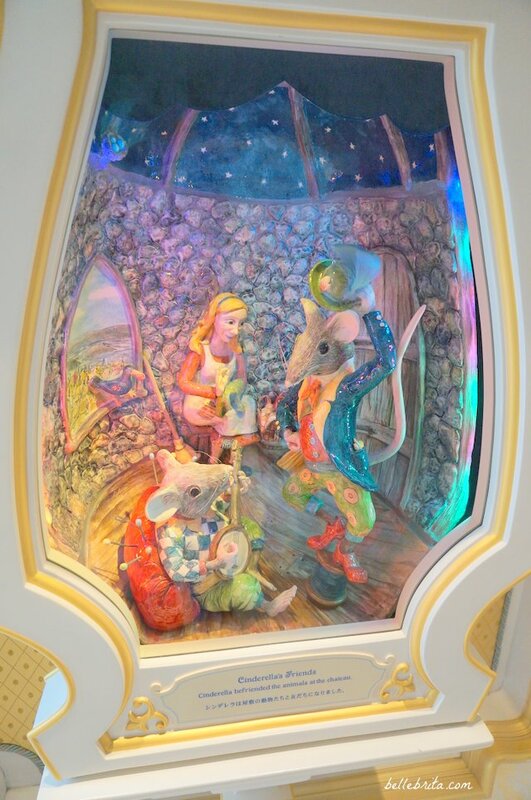 My favorite Disney blog rates Tokyo Disneyland as the best castle park in the world. Having visited four of them, I still think Disneyland Paris is the best. However, I am biased as a French speaker! Tokyo Disneyland is still a close second. 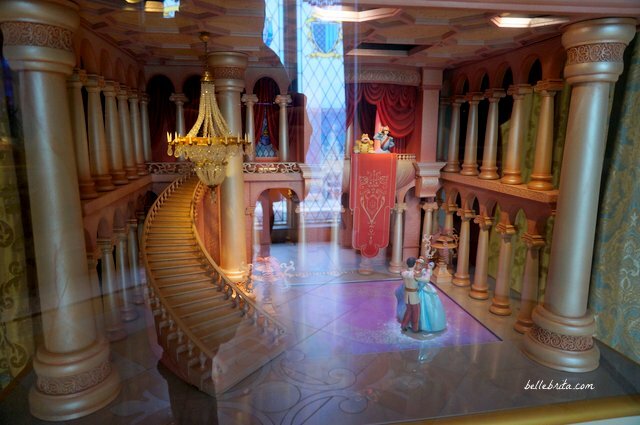 Tokyo Disneyland’s castle is also the best Cinderella castle since Disneyland Paris has the Sleeping Beauty castle. 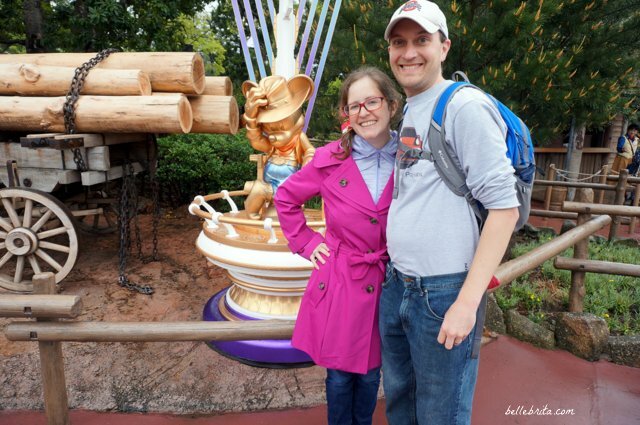 Dan and I were lucky enough to visit the Tokyo parks during both the Easter celebration and the 35th anniversary celebration for Tokyo Disneyland. This only added to the magic! Despite the dual celebrations, crowds were reasonable both days. A quick non-disclosure disclosure! Dan and I paid for our own tickets to both Tokyo DisneySea and Tokyo Disneyland. Alas, the Tokyo Disney parks don’t work with digital media representatives, so they turned down my request for media tickets. My enthusiasm for Disney parks is always totally authentic, regardless of whether or not I pay my own way. 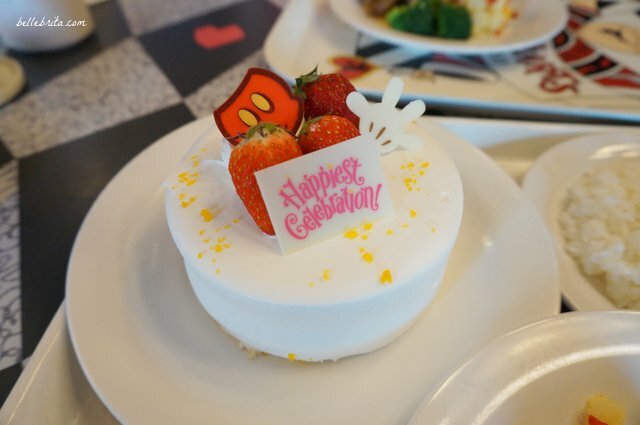 On to the full Tokyo Disneyland review! Like Tokyo DisneySea, Tokyo Disneyland is absolutely beautiful. Beyond the rides and parades, there was just so much to see and to appreciate. 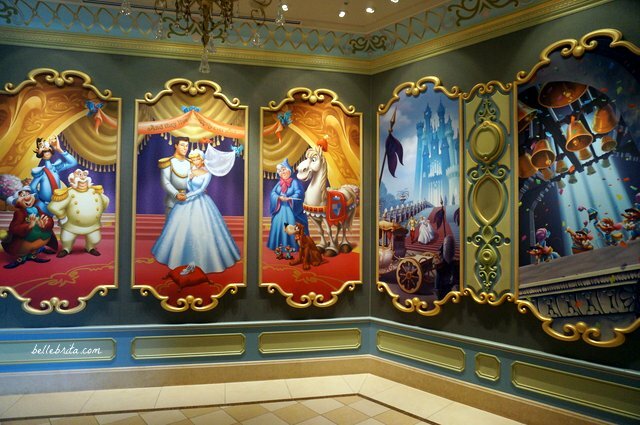 All of the Disney castle parks share similarities, the obvious one being princess castles! Most of Disney’s signature rides can be found at multiple castle parks around the world, and obsessive Disney fans enjoy looking for the differences from park to park. The layout of the Disney castle parks also tend to be similar, but again, each park has its own unique spin. This is particularly true with Tokyo Disneyland, which was designed with the absolute best of Magic Kingdom and Disneyland in mind. 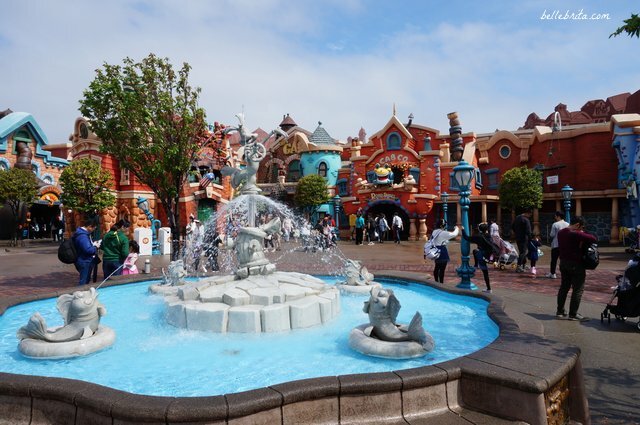 My Tokyo Disneyland review is primarily thematic, rather than chronological. Entering Tokyo Disneyland feels both familiar and foreign at the same time. 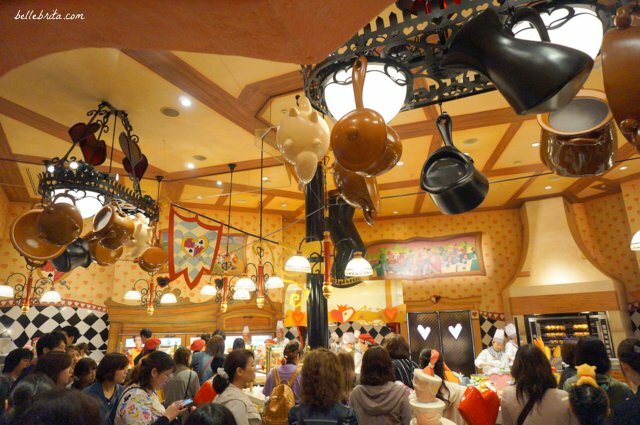 Unlike the usual open air Main Street, Tokyo Disneyland starts with a covered World Bazaar. It’s just as whimsical as any other castle park, but the design is utterly different. Dan and I were quite grateful for the covered entrance since it was pouring rain. I was wearing a thin windbreaker with a hood that closed snugly around my face underneath a knee-length, medium-weight raincoat, and I was still completely soaked by lunchtime. We took a quick detour to buy a Disney umbrella before bracing the rain to reach our first ride of the day. As a whole, Tomorrowland is not an exciting land in Tokyo Disneyland. It feels more like a collection of rides than a futuristic land. Still, it boasts one of the best Disney rides in the world, plus two of my personal favorites. This was our first ride of the day AND our first FastPass. As in, we first waited in line to get a FastPass, and then waited in the regular line to ride Monster’s Inc. The ride’s storyline is similar to the ride in California Adventure. 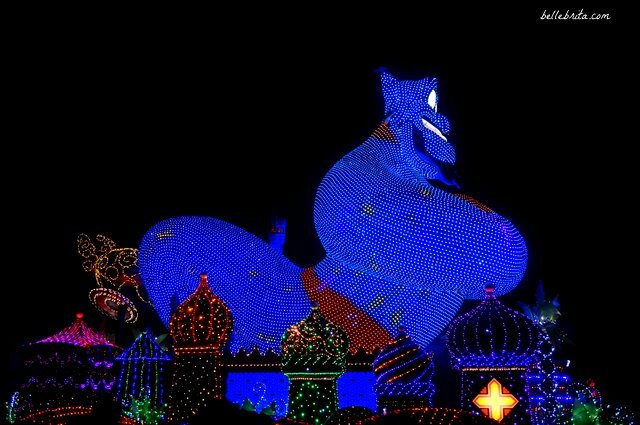 However, there’s an interactive “flashlight” component to the ride, which allows riders to reveal hidden monsters. Plus the technology and details are much better than the California ride. 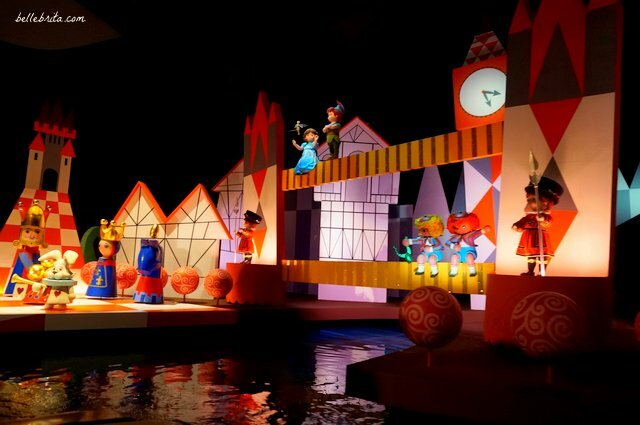 Every Tokyo Disneyland review touts this as one of the best dark rides in the world–and my review says the same. 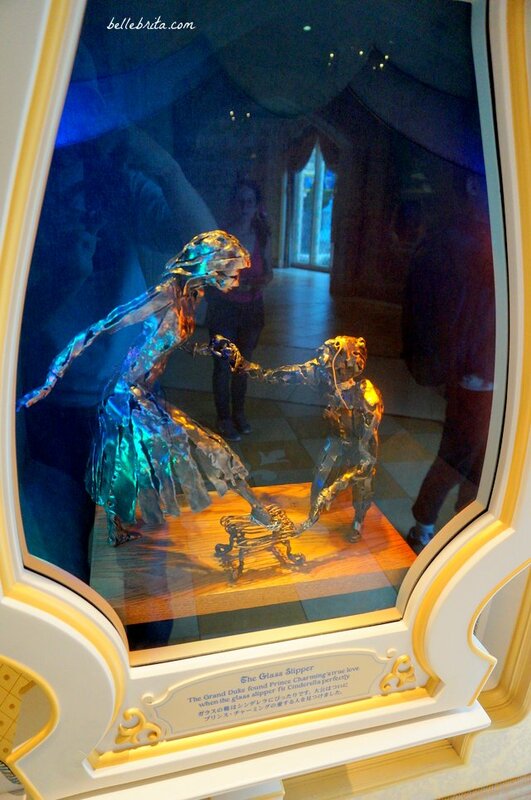 The Imagineering makes me believe monsters are real! Dan and I both really enjoyed this ride. Every version of Space Mountain is thrilling, and this is no exception. While not quite as good as the California version, the Tokyo one was still exhilarating. The blast-off tunnel is really cool, and I love the cool space effects. Unless you don’t like roller coasters, this is a must to ride. Dan and I rode this three times. Star Tours has been one of my favorite rides since I was a little kid. Disney keeps making it better and better. Yes, the entire thing is in Japanese, but that doesn’t detract from the ride experience. Normally you can skip this ride, since it lacks the charm of other Tokyo Disneyland rides, but Dan and I easily snagged a FastPass. Torrential downpours have their perks! Once again, Dan proved his video game prowess as he easily beat me by a lot of points. Still, it’s a fun, silly ride, especially for kids. 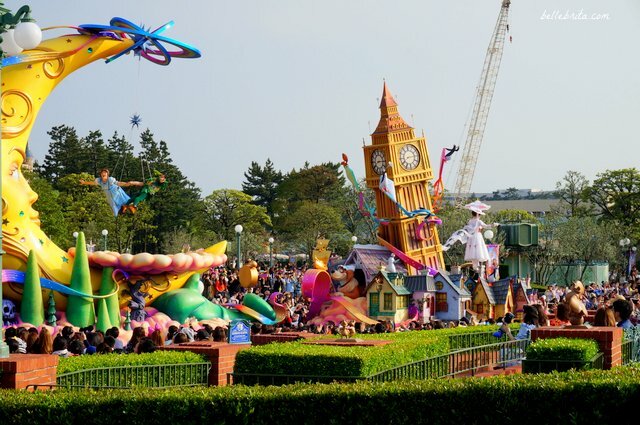 No Tokyo Disneyland review would be complete without a detailed description of Fantasyland. 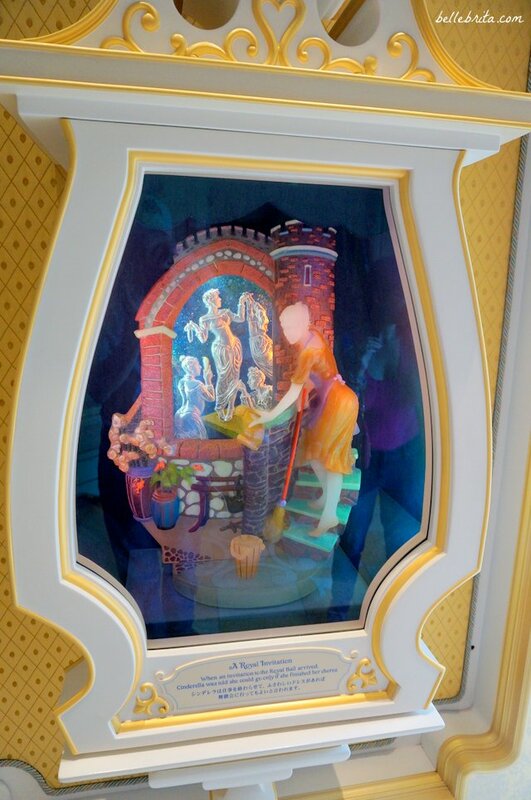 Fantasyland is always my favorite, and I was so excited to visit the Tokyo version. While Cinderella’s castle and Queen of Hearts Banquet Hall absolutely surpassed my expectations, I was devastated to discover Pooh’s Hunny Hunt was closed. It’s supposed to be one of the best Disney rides in the world. Still, Dan and I made the most of it. We rode all the main Fantasyland rides and enjoyed a long leisurely lunch at Queen of Hearts Banquet Hall. Later in the afternoon we even toured Cinderella’s castle! 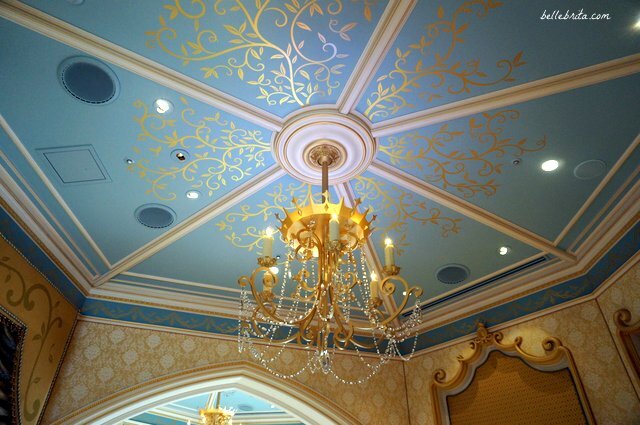 Fantasyland’s theming was magical, even with construction going on for a new Beauty and the Beast expansion. I’m about to write something I never expected to write in a Tokyo Disneyland review. There are spoilers below for the Fantasyland rides. I realize how silly that sounds, but I’m going to describe some major differences in the Tokyo versions from the American versions. 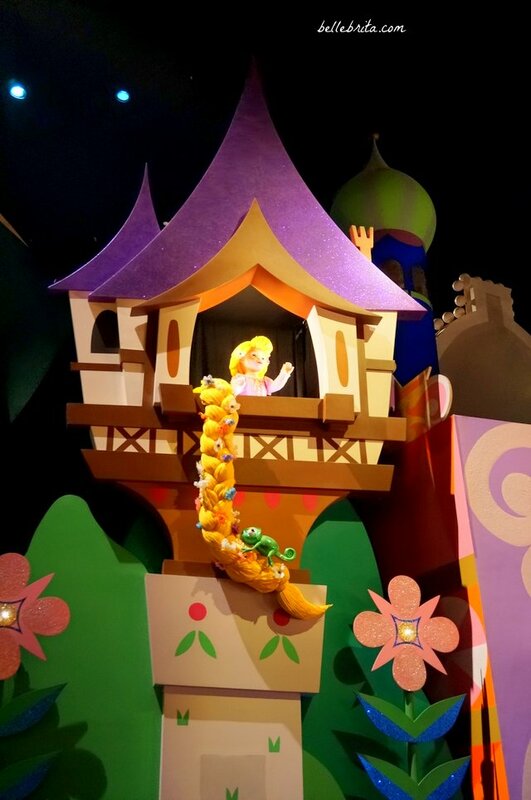 As in, the Tokyo version of one Fantasyland ride is clearly the best in the world… While another is so bizarre I couldn’t believe it. This is possibly my all-time favorite Disney ride, and yes, it’s almost exclusively for nostalgic reasons. No other ride experience quite captures the magic of flying over London. This has been my favorite ride since I was a little girl, when my family lived in southern California and visited Disneyland once a year. 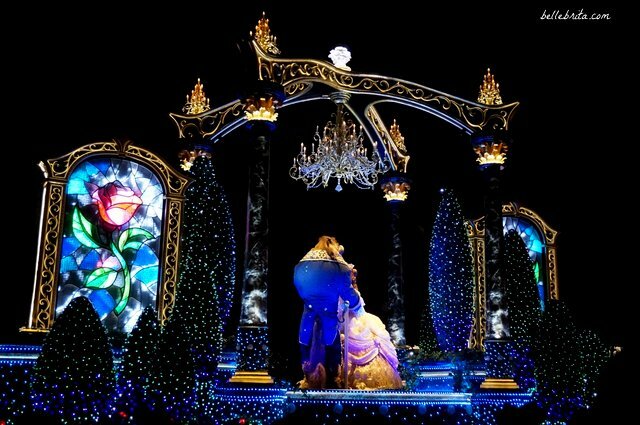 The Tokyo version’s one notable difference from the other parks is a nighttime scene of the island of Neverland. This ride is at both Disneyland and Disneyland Paris, but Dan and I have never actually ridden it before! Imagine our surprise at a completely dark, twisted ride… for kids. Then again, the Pinocchio story is dark and twisted. So the ride is accurate. Let me quote myself from my blog post on Disneyland Paris. 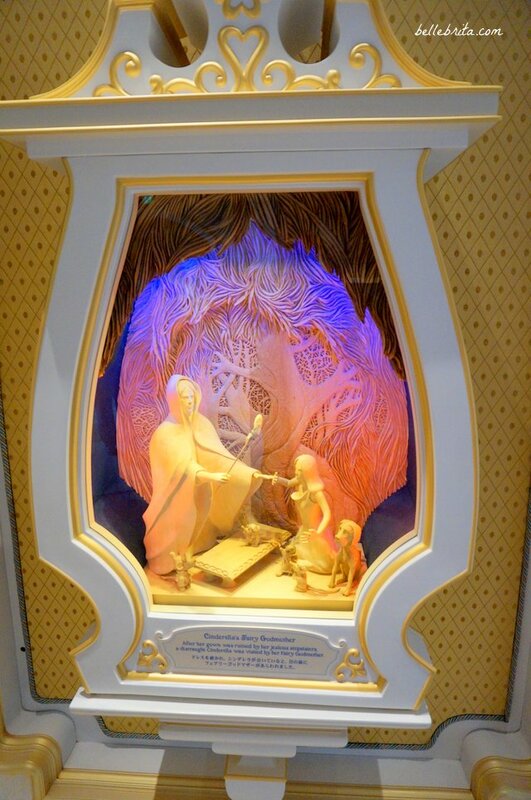 I loved doing the Snow White ride and introducing it to Dan. Magic Kingdom has replaced the original with a roller coaster. 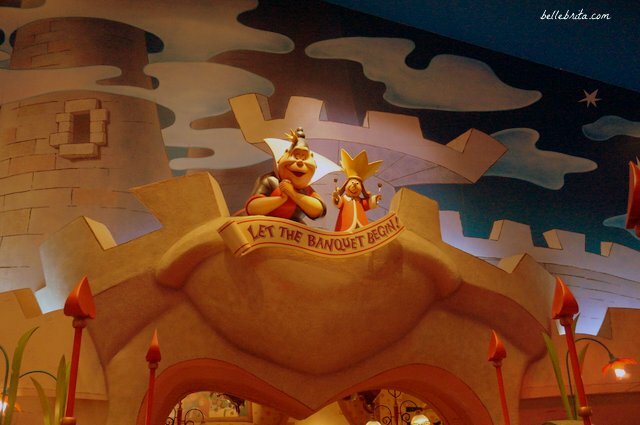 While we enjoyed the roller coaster, nothing beats the original dark rides, or as I call them, the storybook rides. Dan and I skipped the Snow White ride in California last year, but I had ridden it as a kid and again at age 15. Plus I rode the Magic Kingdom version multiple times in college. So imagine my surprise when the Tokyo ride ended with the witch killing everyone. Yes. That is how the ride ends. The witch pushes a boulder off a cliff onto the riders and presumably the seven dwarfs. And… that’s it. 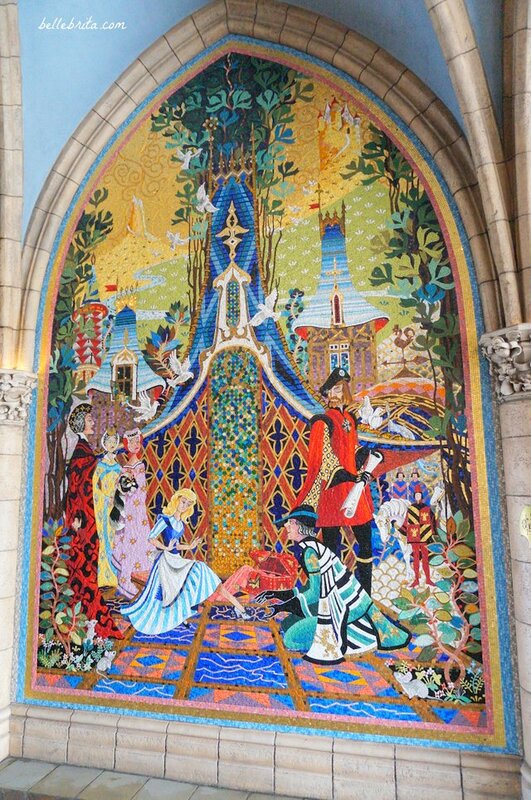 The ride exit doesn’t switch to happy music with an illuminated painting of Snow White and Prince Charming in the distance. Nope. You’re dead. This is the absolute best version of the ride, no contest. Why? 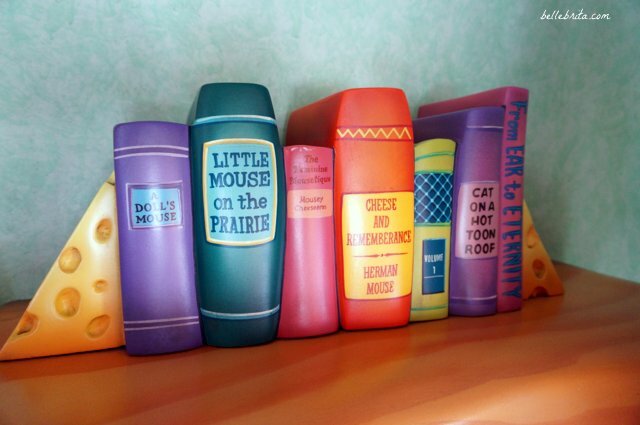 Yes, those are beloved Disney characters interspersed around the world!!! 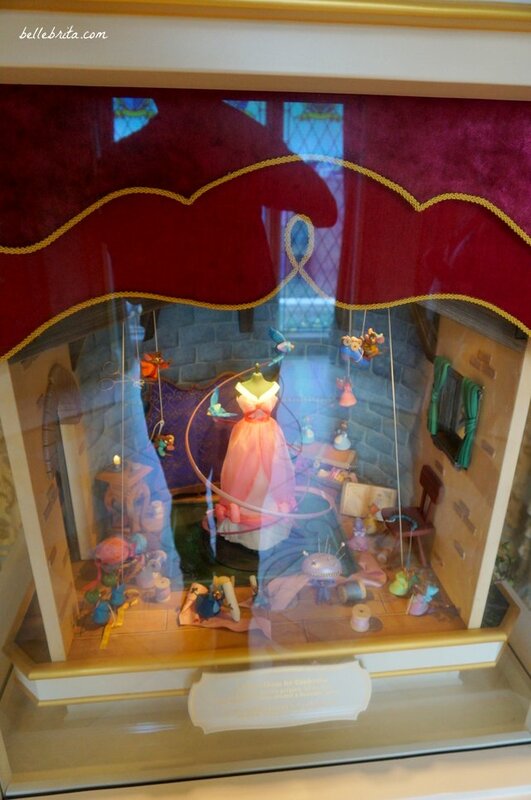 Yes, this is in Fantasyland. I didn’t notice any major differences from the Magic Kingdom version. It’s mostly in Japanese, but you don’t need to understand the language to get the references. It is a beautifully-designed, creepy ride. Ahhhhh dreams really do come true! 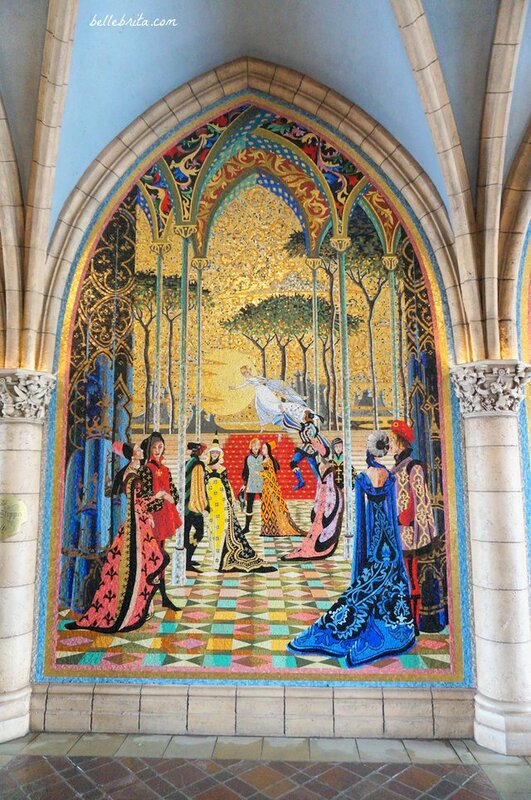 These photos do not do justice to Cinderella’s Fairy Tale Hall. 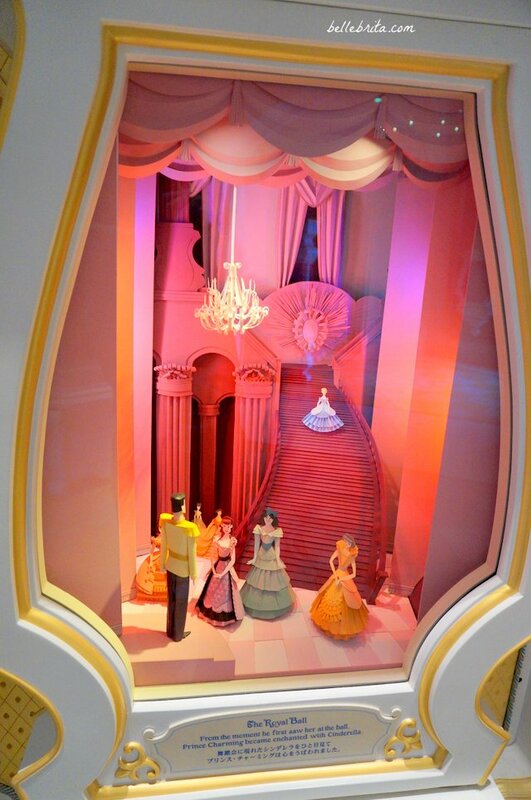 It’s part art gallery, part magical fantasy of becoming a princess yourself! 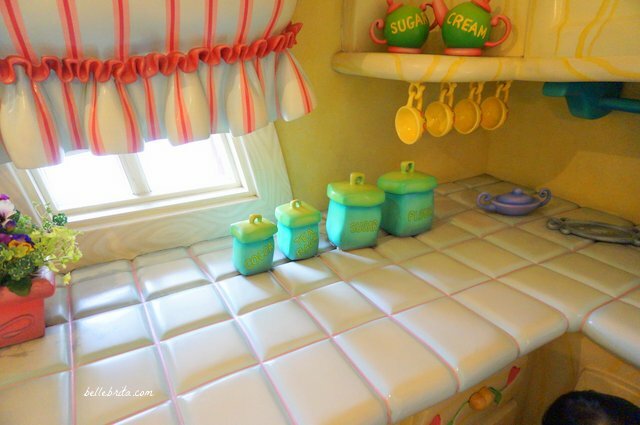 I loved Toontown as a little kid, which makes sense because it’s primarily designed for little kids. 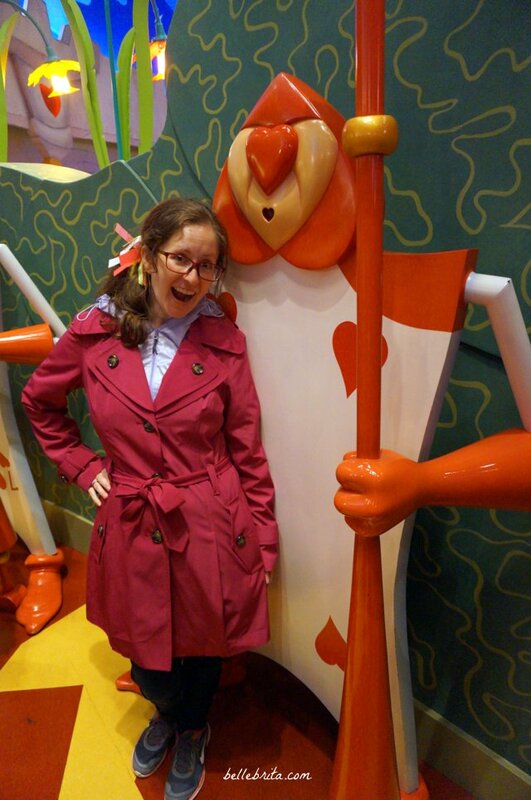 However, it’s still fun to visit as an adult, especially if you like the movie Who Framed Roger Rabbit? (which Dan and I do). Naturally we both enjoyed Roger Rabbit’s Car Toon Spin. This ride is fun even if you don’t know the film, but it’s so much better picking out elements from the original movie. It’s a classic dark ride on a track, with the added element of rider-generated spinning (like the famous tea cups). Plus I’m pretty sure Dan and I basically walked on this ride without waiting in line, which was great. We still stopped and admired creative parts of the queue. 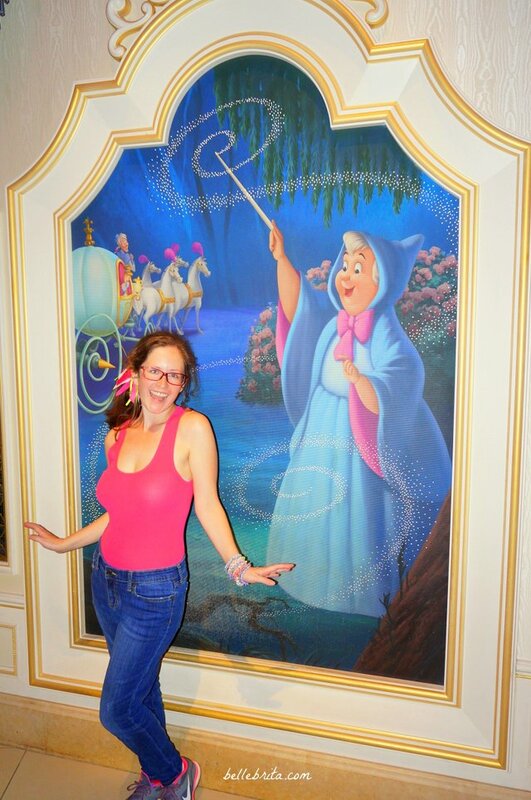 I also insisted on a quick tour of Minnie’s house. It’s super-girly with lots of pink and purple, but my favorite details are all the cheesy puns! Adventureland is like half New Orleans and half jungle. The main thing Dan and I did here was Pirates of the Caribbean. We noticed that not only is the wench auction still intact, but pirates still chase women around. This version does include the updates with Captain Jack Sparrow. We also road the Western River Railroad. Unlike most Disney trains, which transport visitors to multiple stops, this ride only has one stop. It’s still a nice loop with some cool features, like dinosaurs! In the wild wild West, Dan and I rode Big Thunder Mountain Railroad. 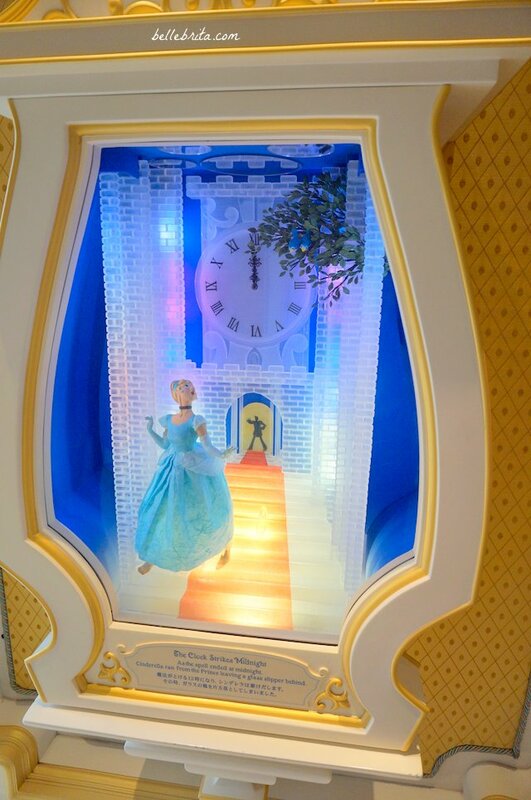 It’s very similar to the Magic Kingdom version, with just a few differences. Dan and I love roller coasters, so we were glad to ride it without much of a wait. Critter Country is basically Splash Mountain surrounded by some cool theming. That’s it. I’m not entirely sure why there’s a separate land for Splash Mountain. Dan didn’t want to ride Splash Mountain, so I waited in the Single Rider Line. This was just as well since the regular line was about two hours! While the Single Rider Line was relatively short, the cast members often sent log flumes with empty seats rather than loading from the Single Rider Line. I ended up waiting about 20 minutes with only a few people ahead of me in line. Regardless, I had great fun. I sat next to a Japanese woman about my age. 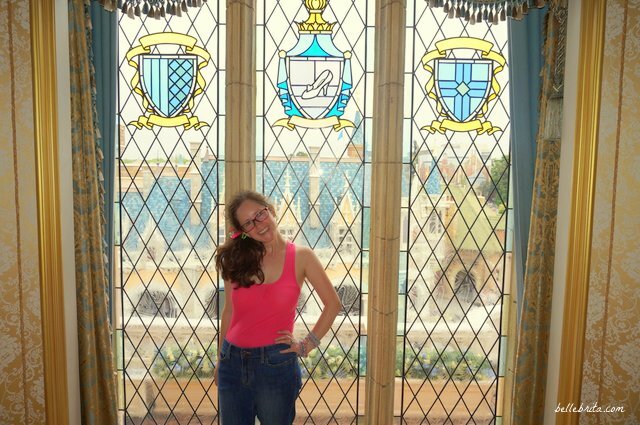 A love of Disney has no language barrier. She and I both laughed and gasped at all the same things and then smiled at each other. Dan and I ate really well in Tokyo Disneyland. 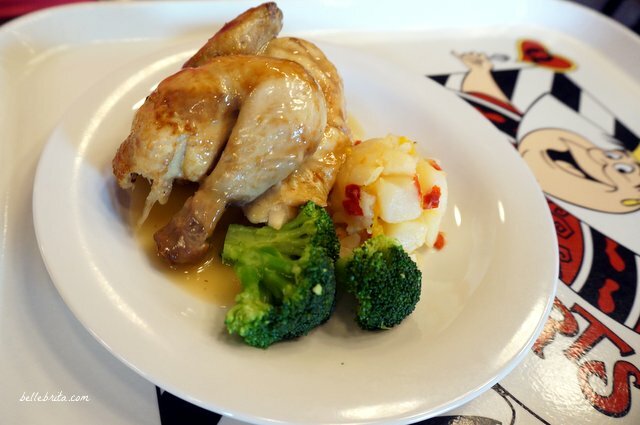 The quality of our food absolutely surpassed typical theme park food, even compared to other Disney parks. We only had one full meal, preferring to snack the rest of the day. 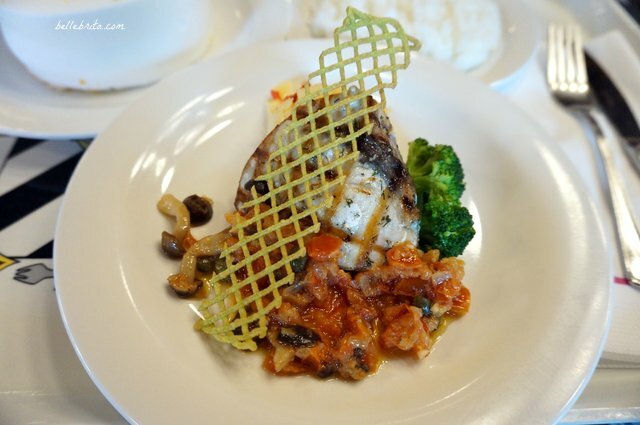 Also, blogger fail… I only have photographs of our lunch. 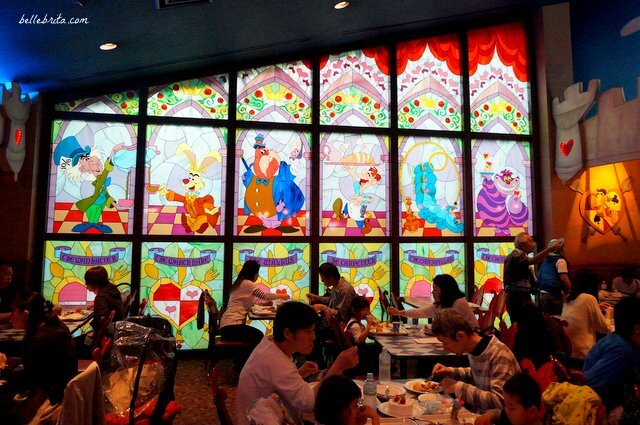 Queen of Hearts Banquet Hall is one of the most popular restaurants in either Tokyo Disney park. 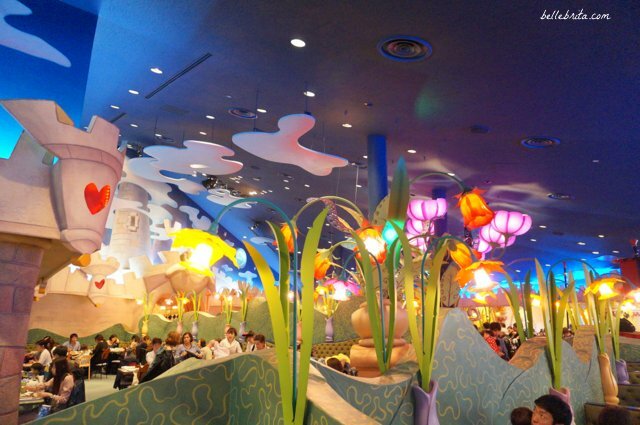 The theme and decor is the perfect marriage between Japanese kawaii and traditionally American Disney. Walking through the restaurant felt like Disney managed to take the colorful essence of my personality and transform it into a restaurant theme. Also, the food was delicious and a good value for the money. Quantity and quality were what I’d expect at a normal restaurant, not a restaurant in a theme park. Dan and I only remember two of our snacks in Tokyo Disneyland. We split a piping hot waffle at Great American Waffle Company. It was delicious. We also had pork-rice rolls from Pecos Bill Cafe. Truthfully, they were hilariously phallic-shaped, but otherwise a yummy, savory snack. Normally Dan and I don’t prioritize Disney parades. In fact, I usually consider parades to be the best time to go on popular rides since lines tend to be a bit shorter. 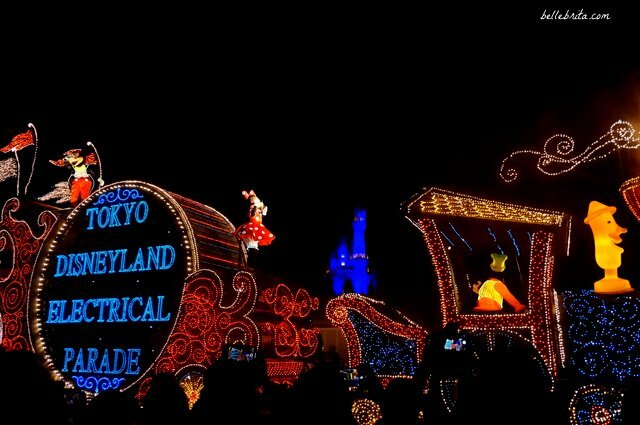 However, Tokyo Disneyland has some of the best parades in the world, so I was excited to watch them. Plus crowds were low during our trip to Tokyo Disneyland, so we didn’t have any problem going on the best rides! 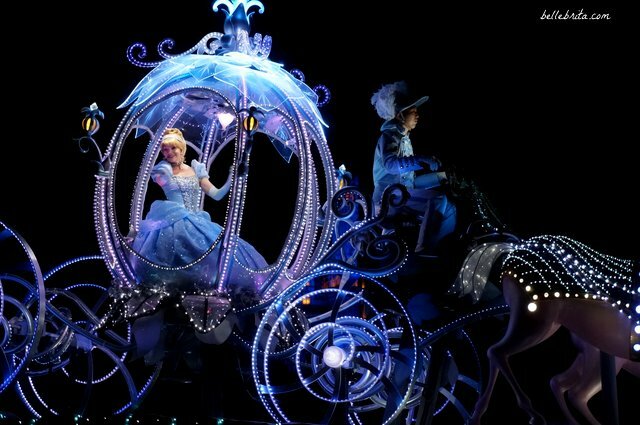 Dreaming Up Parade is new for the 35th celebration. The music was upbeat and fun. The walking/dancing performers wore colorful costumes and moved with enthusiasm. I particularly loved the design of all the floats. 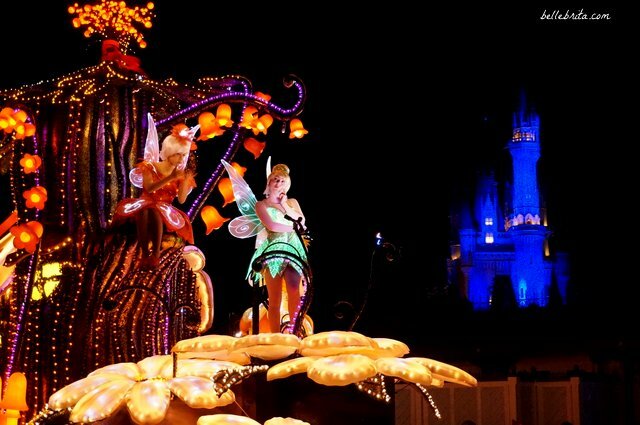 Best of all, Peter Pan and Wendy actually fly on their float! Seriously one of the coolest things I’ve ever seen. 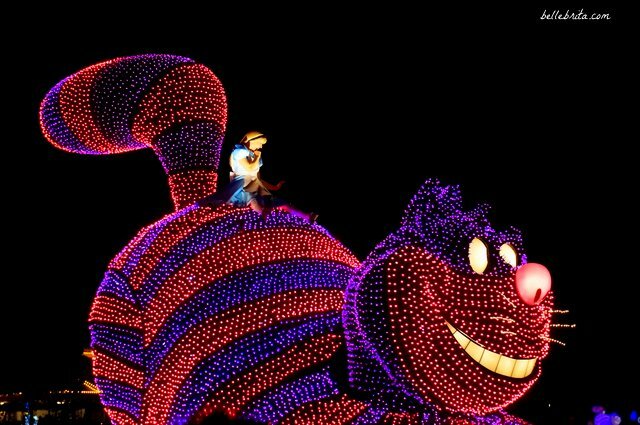 Disney’s Main Street Electrical Parade is a classic. 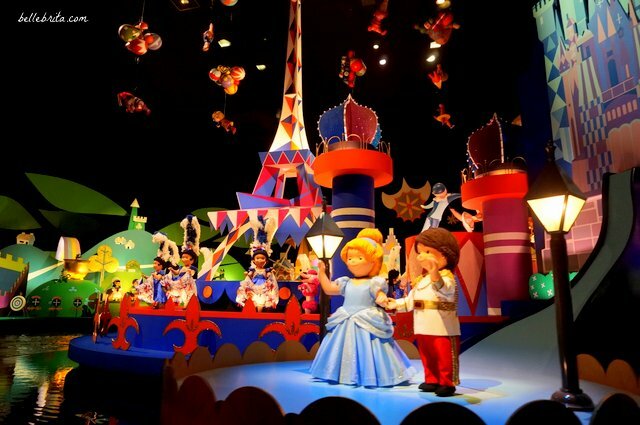 Imagine the nostalgia of that parade, with 2018 technology, and a refreshed creative vision. Add in Japanese love for colorful cuteness and precise technology. That is Dreamlights. 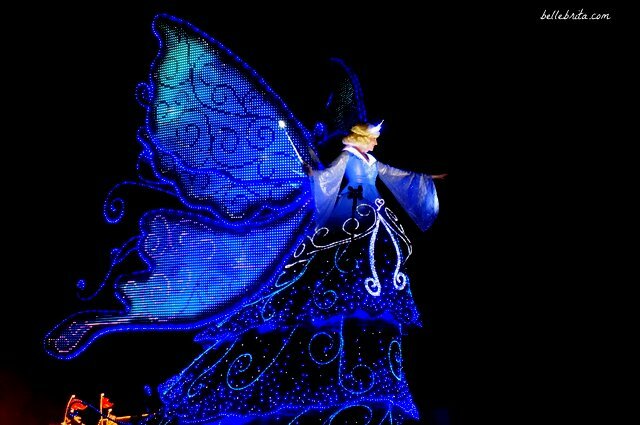 Watching Dreamlights was the perfect end to two days at the Tokyo Disney parks. 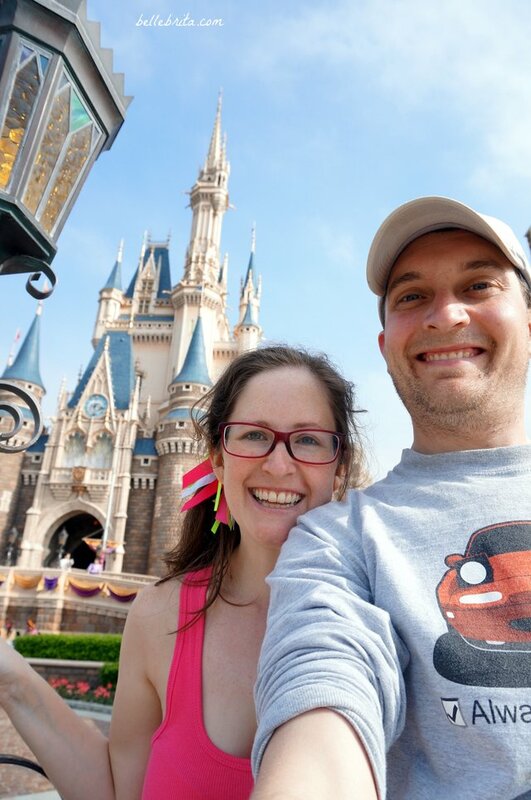 Dan and I truly enjoyed a magical day in Tokyo Disneyland! While the morning started off with a torrential downpour, eventually the sun came out and dried us off. Besides, a day at Disney is so much fun, even while soaking wet. 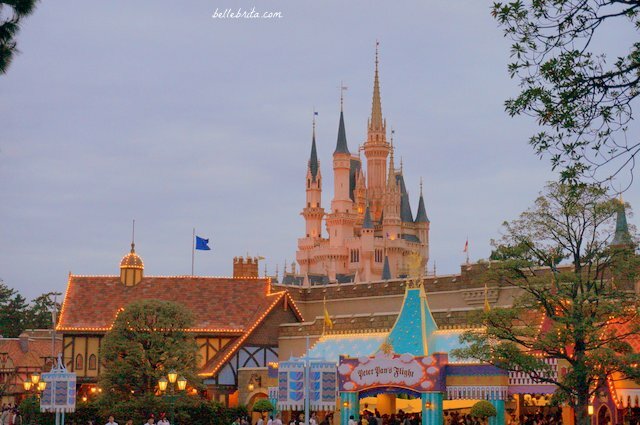 I hope this Tokyo Disneyland review helps you plan your own trip! Which ride or attraction do you most want to experience?